I’ve added a lot more paint, maybe lost some of the depth but as it is a work in progress I’m happy with the rich colors and will continue to build light and shade once it is dry. 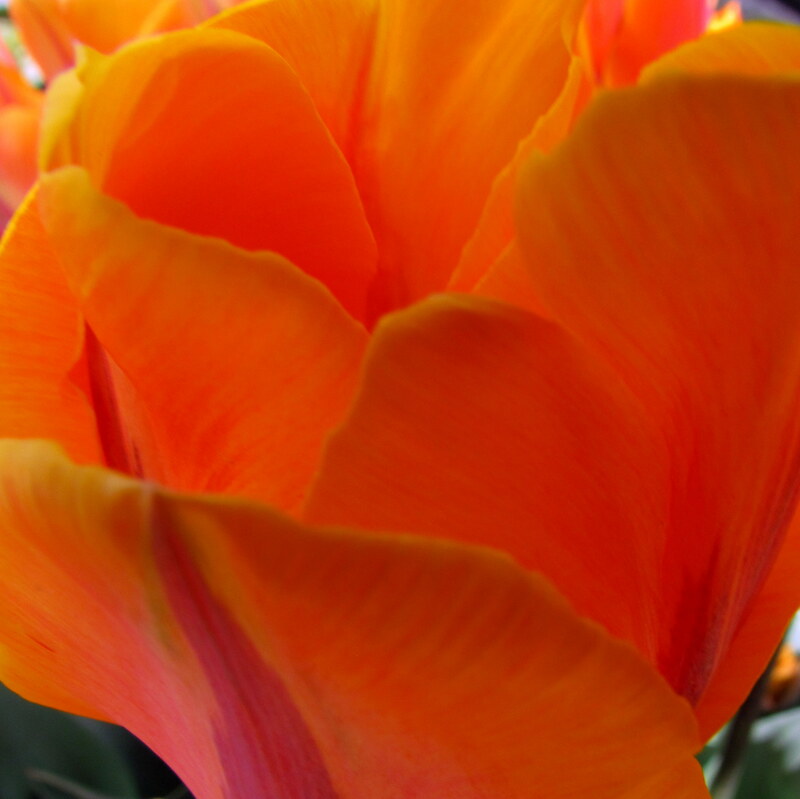 Painting inspired by ‘Orange Tulip’, the photograph. 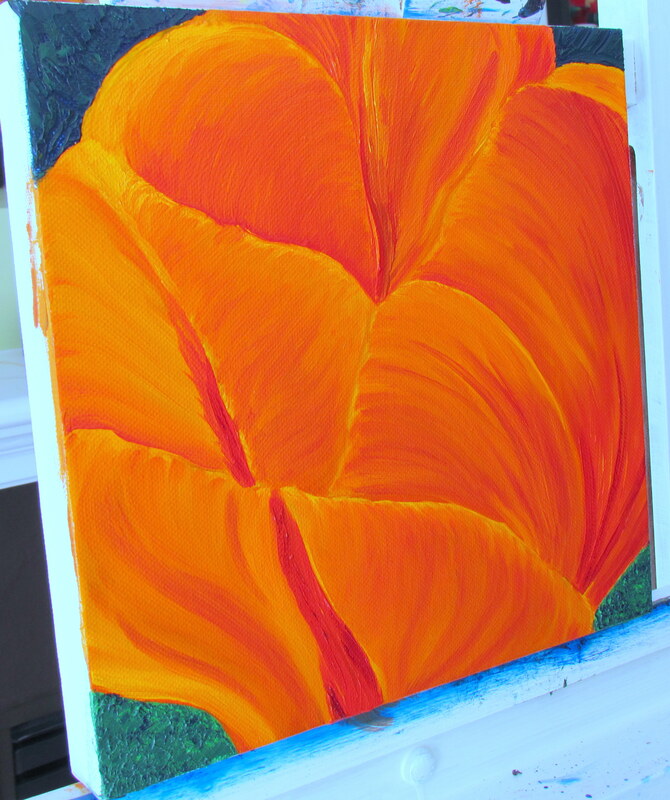 Painting inspired by ‘Orange Tulip’, the photograph. 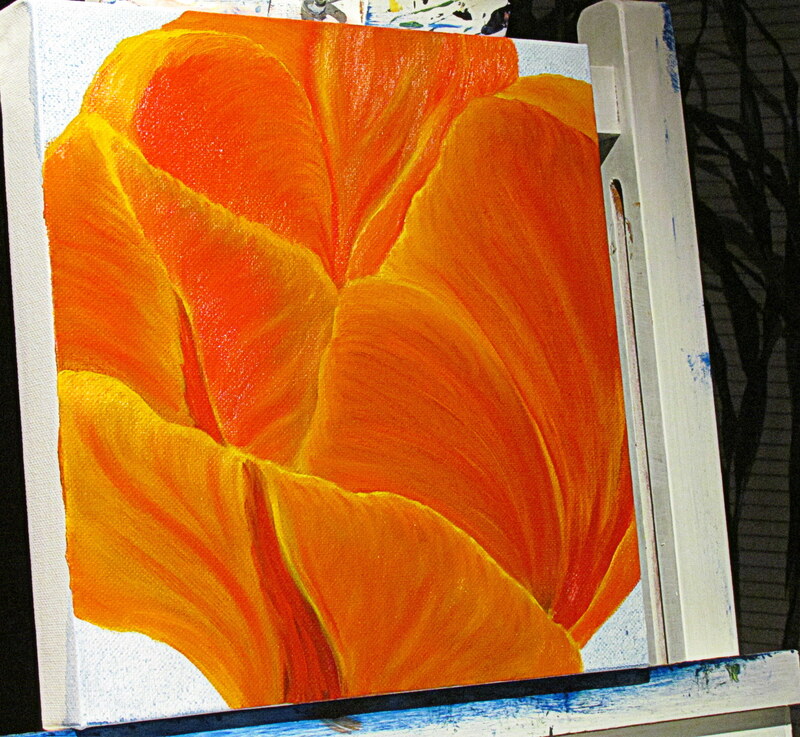 I began working on this tulip last night. So far, I’m very happy with how it’s flowing. Looking forward to finishing it. I can’t decide which one of these two close-ups is more beautiful. 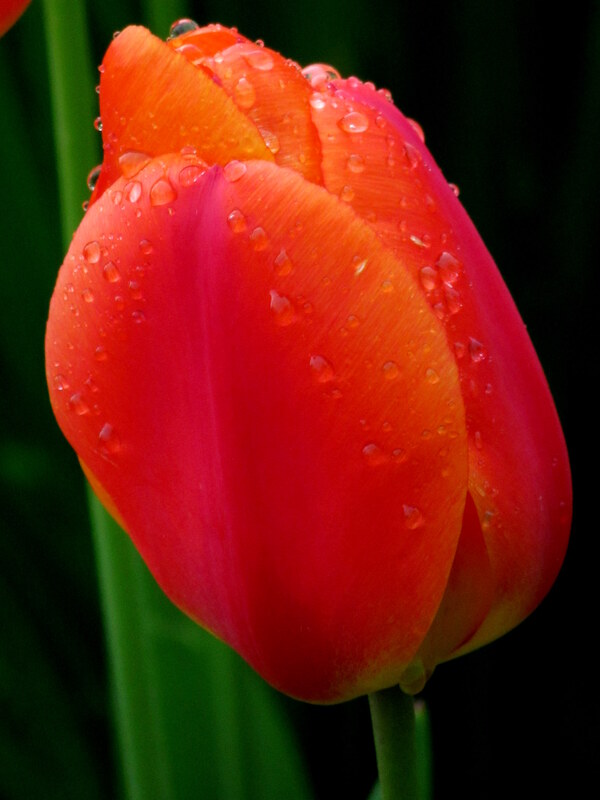 Of course, the first one is so vibrant with color and those incredible raindrops but the second one is so luscious and breathtaking… Oh well, maybe you can help me decide?